Freshman midfielder No. 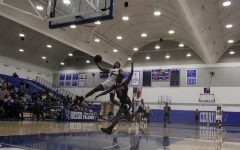 24 Carlos Perez crossing in the ball past the defender against Long Beach City College at Cerritos College ending in a tie on Oct. 9. 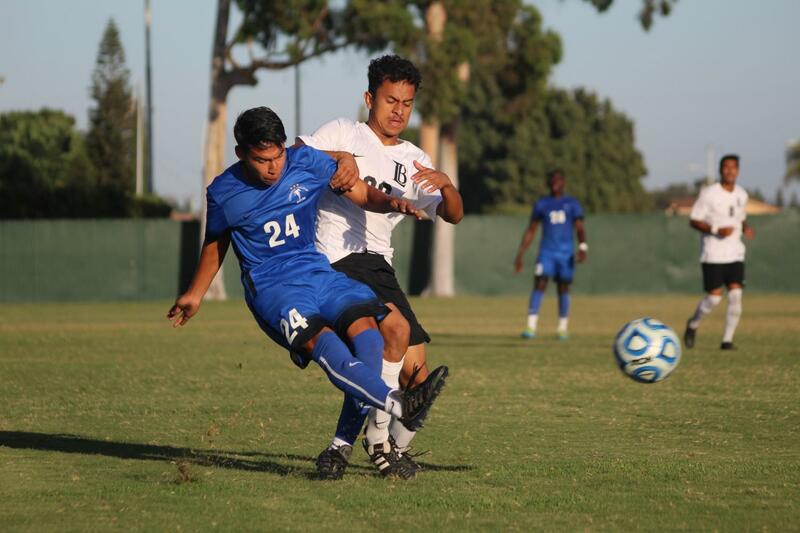 The Cerritos College Men’s Soccer team obtained its first draw on home soil against Long Beach City College on Oct. 9. The match ended 1-1, which means both teams are undefeated in the South Coast Conference tournament. Sophomore midfielder No. 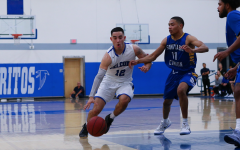 8 Oscar Penate kicking the corner during the second half in the game against Long Beach City College at Cerritos College on Oct. 9. Sophomore forward No. 9 Kevin Diaz received the ball from Sophomore midfielder No. 8 Oscar Penate and scored for the Falcons, nine minutes into the game. The Vikings however, obtained an equalizer thanks to a goal scored by forward No. 10 Carlos Maldonado 67 minutes into the match. Cerritos had the ball in its possession for most of the match against LBCC. Sophomore midfielder No. 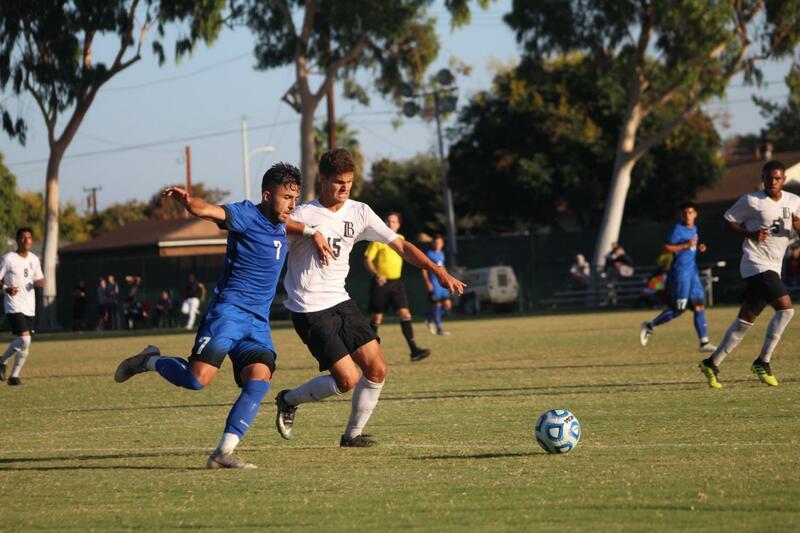 7 Alberto Carrillo fighting his way to the ball against one of the LBCC defenders. The Vikings were really quiet throughout the match until a dangerous counterattack midway through the second period which ended in the goal they needed to obtain the point on the road. It was a rough game between these two squads; fourteen fouls were called by the referee. Only three yellow cards were issued during the course of the match, Freshmen midfielder No. 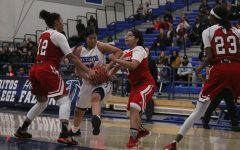 11 Amaury Maldonado was the only player cautioned for Cerritos. Both teams had four shots-on-goal in the full 90 minutes, however, both goalkeepers made three saves, which kept the game open for either team to win. Cerritos ended a 10-game winning streak and 327 minutes without conceding a goal at home this campaign. This result could impact their No. 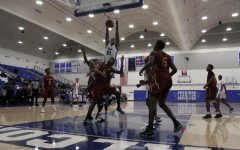 1 ranking in the State of California; however, because of goal difference the Falcons will remain in the top spot of the conference. 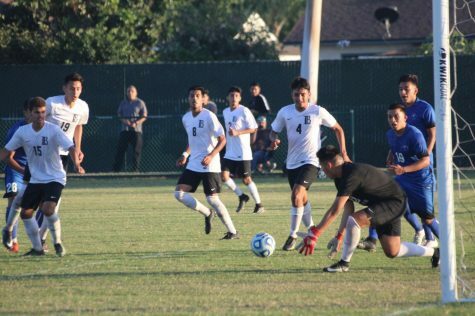 The LBCC goalkeeper stopping the Falcons from converting a game winning goal, Cerritos was pushing towards a tie breaker in the final moments of the game. 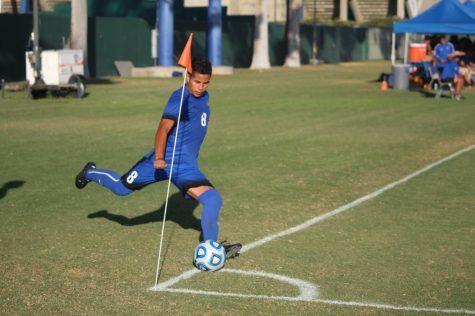 Cerritos Men’s Soccer will travel to play against Mt. San Antonio College on Oct. 12. Their next conference matchup is on Oct. 26 against Los Angeles Harbor College at home.